This piece comes from the first large dinner service produced at Meissen, ordered by Augustus the Strong c1728 and constantly augmented through the 1730s. The pattern derives from Japanese Kakiemon porcelain. 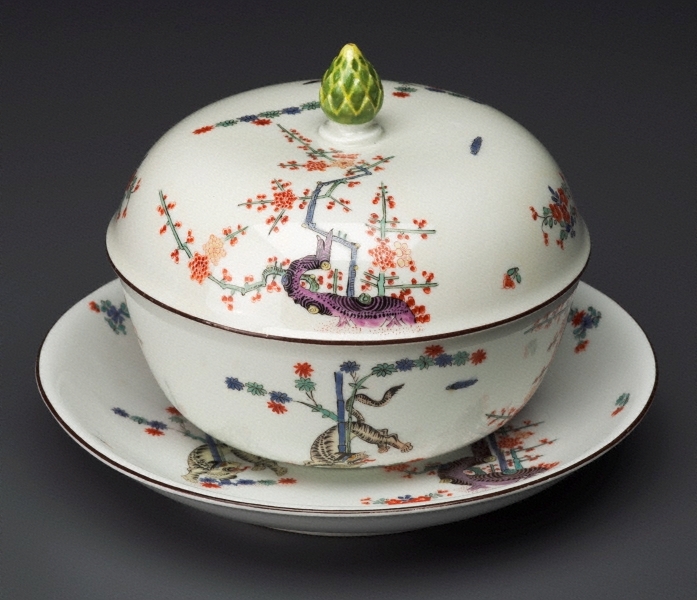 It was known at Meissen as the ‘yellow lion’ pattern though it in fact features a tiger. The pattern was reserved for use at court, although yellow lion wares were also made as diplomatic gifts. The ‘K.H.C’ mark indicates that this example comes from the royal court pantry.